Blue Bird Garage in Albertyn Rd, Muizenberg is becoming quite the place to see world class artists serve up their latest offerings. Last month there was Dan Patlansky, and before that Derek Gripper and Guy Buttery. This Saturday we will see African folk icons Dave Reynolds and Pops Mohamed launch their new album ‘Live in Grahamstown’. 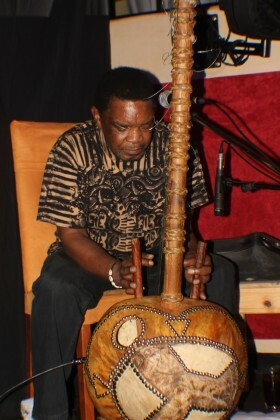 Pops Mohamed plays a range of African instruments, most notably, the kora (21 string West African harp) and mbira (Zimbabwean thumb piano) and has toured internationally with Andreas Vollenweider, Sipho “hotstix” Mabuse and Baaba Maal, amongst others. Last weekend the movie ‘The Whale Caller’, which he wrote the score for, won “Best African Film” and Pops will be going to Cannes next year. 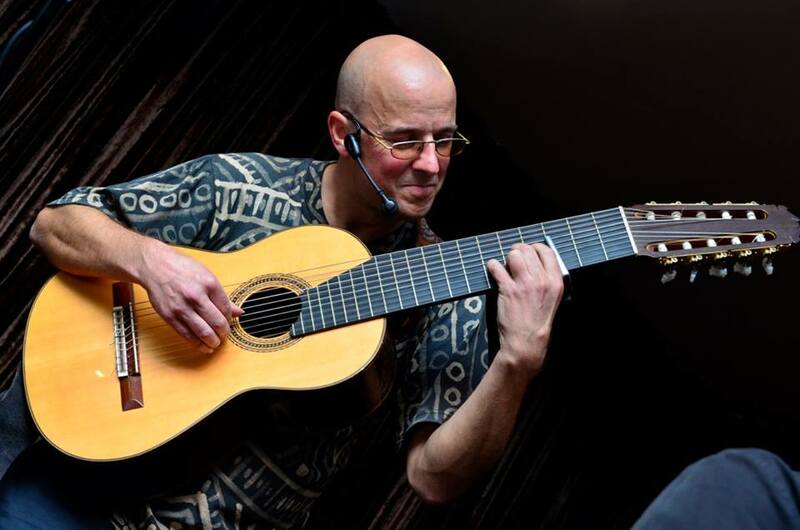 Dave Reynolds (main Picture) is an award winning composer, acoustic guitarist and steel pan player. His distinctive steel pan colors have been heard in recordings and performances with Andy Narell, Hugh Masekela, Steve Newman, Paul Hanmer, the late Gito Baloi and Tony Cox, to name a few. • Saturday, November 12, at 8pm at Blue Bird Garage, Albertyn Rd, Muizeberg. Tickets can be booked via www.quicket.co.za. • Sunday, November 13, at 3pm at Guga S’thebe, Langa. For tickets to either gig, visit www.quicket.co.za. Providing a platform for emerging South African musicians and musical ensembles to showcase their talent, artists will take to the stage for a series of free-to-attend performances at the V&A Amphitheatre. Germaine Leonard, a smooth/Afro jazz guitarist often compared to Jonathan Butler, Norman Brown and George Benson. Germaine was raised in Manenberg and began playing the guitar at age 13 undertaking lessons from his grandfather when his father gave him his first guitar. In April 2015, Leonard released his debut EPK ‘Made Me Glad’.